This collective movement workshop is co-led by Artist Robby Herbst and Play and Spacial Justice Activist Benjamin Shepard. Shepard will focus on the relationships between collectivity identity, public space, and social control. He will develop exercises that explore group play within politicized contexts. 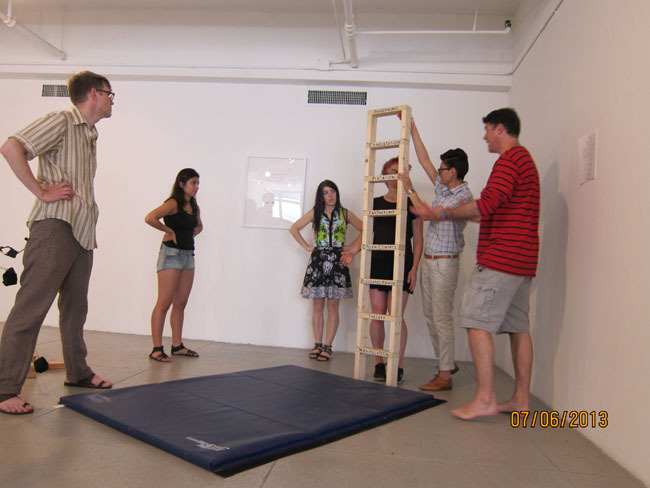 Concepts explored in this workshop will inform future projects beyond the gallery. This is a public event; all ages are welcome. For more information or to participate in this workshop, please RSVP to projectspace@efanyc.org.